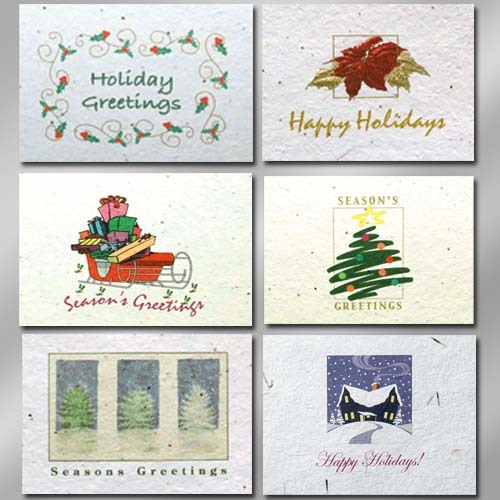 Each plain pack of cards contains six card designs, a stock message and planting instructions on back. There are six envelopes included and packaged together in a clear polybag. We will add proceeds benefit (name of charity or organization) on back of each card below the planting instructions for orders in excess of fifty six packs (300 cards). We will provide a custom order form for the organization, which we personalize with the organization name. The charge for these order forms is $50.00 (g), which is refunable with an order of fifty six packs (300 cards). 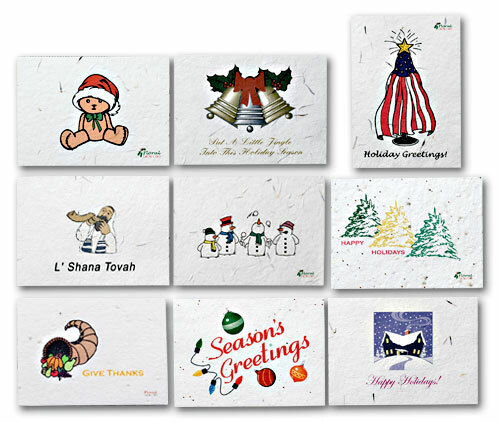 Custom personalization is available at no additional charge for each order of 12 six packs (72 cards) in total. The personalization must be the same for all 72 cards. Custom cards are available, contact us for more information. The organization can sell each six pack for $15.00, which includes a profit of $5.00 per pack. About our paper - We use 100% recycled linen paper; we conserve the world's forests. Handmade, the paper dissolves as the flower and herbs grow. We are environmentally "green". Choose from our stock covers or make a completely custom cover - It's all the same price. Blank inside. About our paper - We use 100% recycled linen paper; we conserve the world's forests. Handmade, the paper dissolves as the flower and herbs grow. We are environmentally "green". Price Incudes Four Color Printing on One Side. Gold Foil Envelope Included in Price. 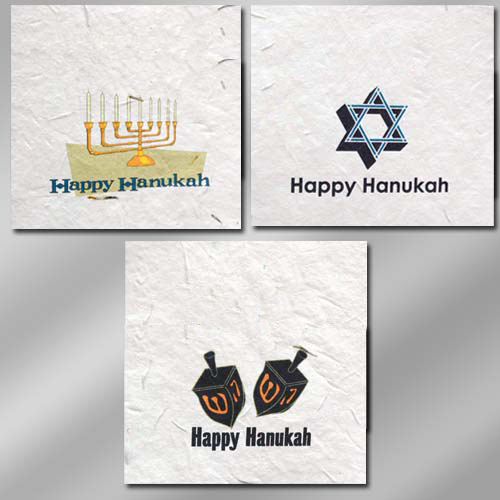 Each Hanukah pack of cards contains six cards in three designs, a stock message and planting instructions on back. There are six envelopes included and packaged together in a clear polybag. We will add proceeds benefit (name of charity or organization) on back of each card below the planting instructions for orders in excess of fifty six packs (300 cards). We will provide a custom order form for the organization, which we personalize with the organization name. The charge for these order forms is $50.00 (g), which is refunable with an order of fifty six packs (300 cards). 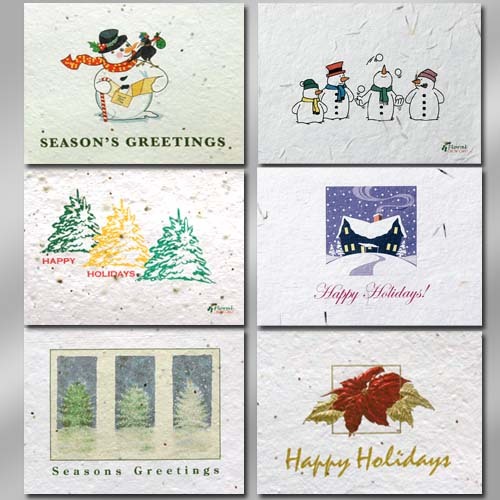 Custom personalization is available at no additional charge for each order of 12 six packs (72 cards) in total. The personalization must be the same for all 72 cards. Custom cards are available, contact us for more information. The organization can sell each six pack for $15.00, which includes a profit of $5.00 per pack. About our paper - We use 100% recycled linen paper; we conserve the world's forests. Handmade, the paper dissolves as the flower and herbs grow. We are environmentally "green".